One year, the Vietnamese have more holidays, Tet. 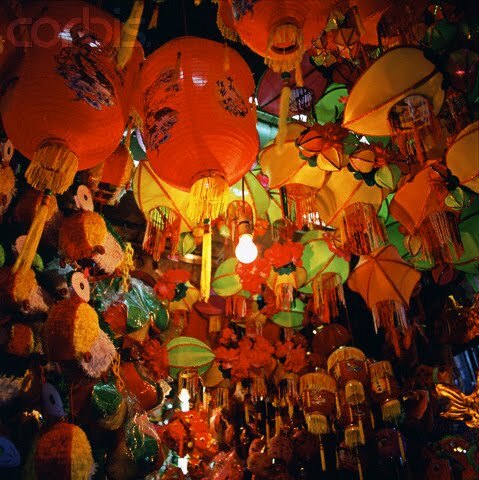 But Tet Nguyen Dan (on the first of a lunar month) is the largest so on Tet Ca. This is the end of crops, all spare time relaxing fun, visit each other … and is also assigned at the time of the winter end-spring coming. According to traditional customs in Vietnam, Tet Nguyen Dan is the first of the family. On afternoon of 30 day Tet, every home make to kowtow family ancestors and family spirit, express feelings drinking water, remember the source. In 3 days of Tet have 3 large meeting at home. The first is the “meeting” of the family spirit: First Art professor or professors – are the first vocational family are doing. Soil, – the land where the gods hold in their military and Kitchen god – as the spirit of the people cooking in the home. Second is the “meeting” ancestors, grandparents … of the dead. People’s perception guide the dead soul is about the children on the occasion of Tet. Third meeting of the people in the house. As a habit most sacred and sustainable, each year to Tet, though is where do … nearly everyone want and try to return to reunite with family. According to the calculation of the past, on the first day of January response to chickens and second day – dogs, third day- pigs, 4th – goats, 5th – buffalo, 6th- horses, 7th – people, 8 th – rice. 8 days early every day brighter is regarded as belonging to the same day he was good all year. Therefore, on 7th, It’s identity that is believed the drain of people will have good luck and happiness. The 7th ending Tet Nguyen Dan is also lower at the start of New Year Opening summer – opening on New Year happy to welcome the new spring. Tet Thuong Nguyen (Tet Nguyen Tieu) on 15 of January of lunar calendar on the first full moon of the year. 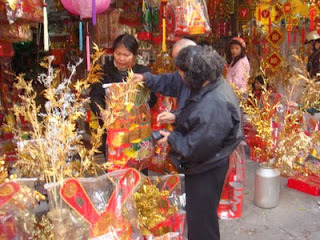 Tet is celebrated in most temples because this day is related Buddha. Idioms: “Buddha’s year-round with no equal 15th of January “comes from there. After passing the temple, people go home, worship ancestor and eating in anniversary. “Han Thuc” means cool food. This New Year, on 3rd of March (lunar calendar). History began from China. 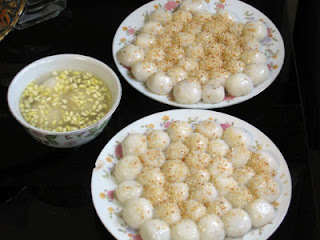 From Ly dynasty (1010 – 1225) we have more people enter this New Year and often do floating cake and glutinous rice dumpling filled with green bean paste in syrup replace for cool food. “Thanh Minh” means pure of sun.It usually in March lunar year – Holidays algae become grave festival. Go visit the tomb, if you see the fluorescent dense grass, soil physically foot embankment for the full … then go to worship ancestor. Tet Doan Ngo (Tet Doan Duong) on 5th of May (lunar calendar). In Vietnam, Doan Ngo festival is “Year kill insects” – as in phase transfer season, disease easily arise. On this day, people have more time to coincide except prevention. Use Absinth leaves (a vietnamese traditional medicine), in which year then plait animal symbolic this year (Monkey Year – plait monkeys and called Hau Tu, in Tiger year – Plait Tiger called Ngai Ho …) hook up the house to expel demons. Later, when disease, which leaves identity as drugs. There going to pick drug leaves (motherwort, dew-berry, mortar mill, eugenia) the drinking in Horse hour. – The second: Vu Lan festival, derived from stories Dai Muc Kieu Lien. Vu lan considered mass for the dead for parents in 7 generation, comes from the heart signal. 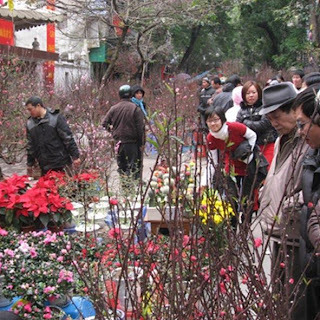 In recent years, in Vu Lan festival has “Bong Hong Cai Ao” (rose install shirt ) show piety of children for parents. Kitchen God festival on New Year December 23 lunar – the day we see it as “king kitchen” come to the Sun report the kitchen,work, behavior of the family in years.